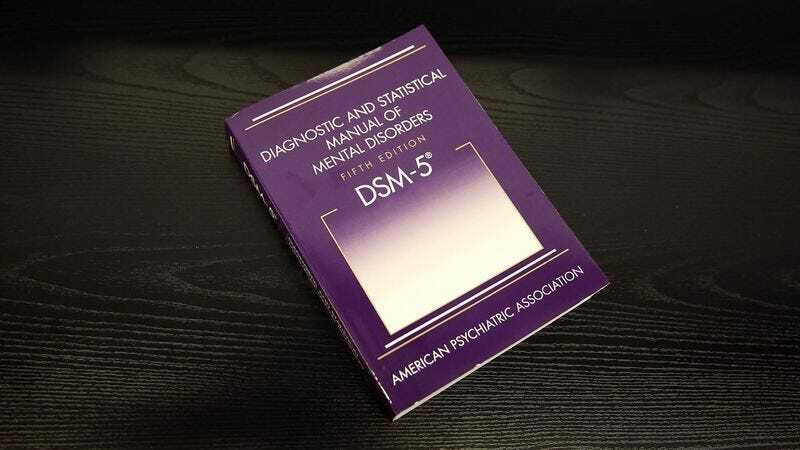 ARLINGTON, VA—Saying they were committed to ensuring the influential reference text accurately represented all known psychological conditions, leading members of the American Psychiatric Association announced Monday they would update the Diagnostic And Statistical Manual Of Mental Disorders, Fifth Edition to accommodate a man who is legitimately being ordered by the moon to kill those around him. “After conducting extensive psychological examinations of the individual in question, our board has determined that the patient shows no sign of delusion or hallucination and is in fact receiving regular instruction from Earth’s moon to commit murder, and our classification manual must be revised to reflect these findings,” said APA medical director Saul M. Levin, clarifying that the man’s affliction would not be subcategorized as a schizophrenic or psychotic disorder, as the voice he hears urging him to bludgeon others to death in fits of manic violence emanates from the moon itself and not from within his own mind. “Based on our study of this patient, we will add the new entry ‘Lunar-Motivated Homicidal Impulse Syndrome’ to the DSM, which is characterized by regular communication with the moon, persistent homicidal urges, and violent behavior stemming from one’s efforts to appease the moon.” Levin added that because the man’s mental state did not derive from any abnormal neurochemistry, standard psychiatric medications would likely have little effect on his condition, and thus his only course of treatment would be to cut out the small device that was implanted in his brain for receiving the transmissions.